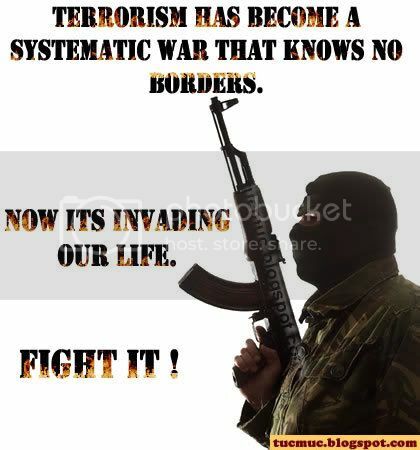 The terrorism is war against civilization, they say that terrorists are often idealists pursuing worthy ultimate aims -- national or regional independence, and so forth.this argument can not be accepted . 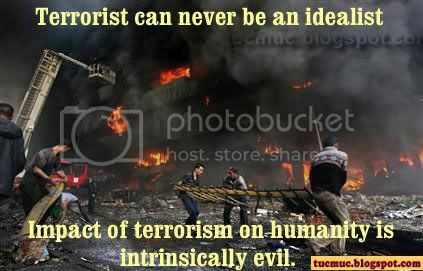 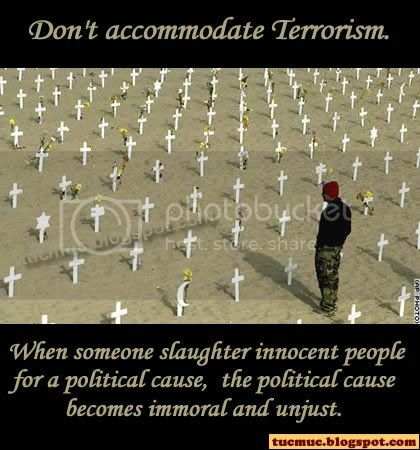 A terrorist can never be an idealist, nor that the objects sought can ever justify terrorism. 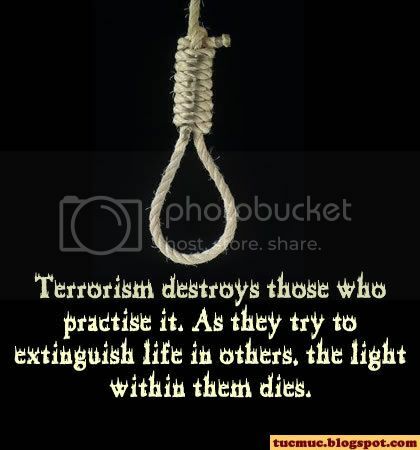 The impact of terrorism, not merely on individual nations, but on humanity as a whole, is intrinsically evil, necessarily evil and wholly evil. 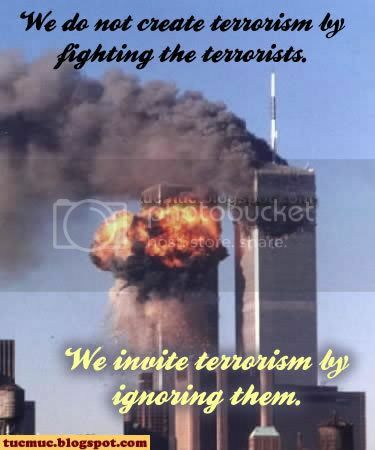 Here we are providing "Say No To Terror" images. 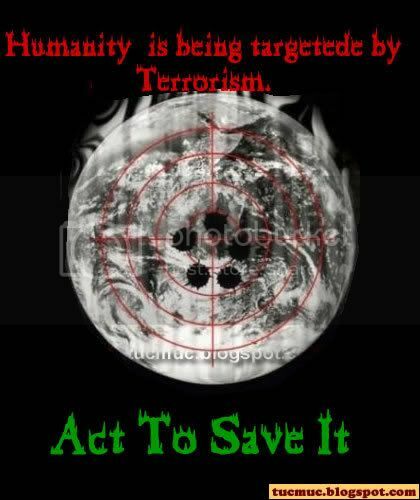 Plz spread the message of peace.